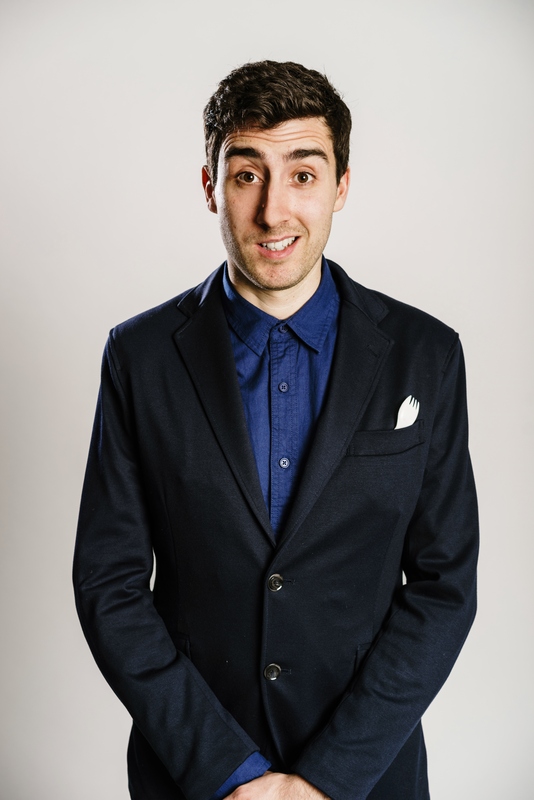 Following a sold out run at the Edinburgh Festival Fringe, Steve Bugeja will begin his latest nationwide tour from 30th September, with his brand new show Summer Camp, including a performance at London’s Leicester Square Theatre on 6th October. The show tells the story of the summer Steve spent as a counsellor for Camp America – unfortunately for Steve, he’s considerably worse at partying and talking to women than the hero of your average American teen movie. Fortunately for everyone else, hearing about that is considerably funnier than watching your average American teen movie. Making a name for himself on TV and radio, Steve has appeared on Love Island: Aftersun (ITV2), Russell Howard’s Stand Up Central (Comedy Central), Top Tens (BBC Three), The Dog Ate My Homework (CBBC), Pop Sludge (4Music) and Fresh from the Fringe (BBC Radio 4). Also a prolific writer, Steve has contributed material to The Russell Howard Hour (Sky One), Mock the Week (BBC Two), 8 out of 10 Cats (Channel 4), Russell Howard’s Good News (BBC Two), The Now Show (BBC Radio 4), and The News Quiz (BBC Radio 4). He also secured the position of UK’s funniest Lucozade salesman when he starred in a viral ad for the fluorescent soft drink alongside England and Tottenham footballer Harry Kane, which may or may not have contributed to the almost immediate departure of the England squad from Euro 2016. Also making a name for himself internationally, Steve performed at the Melbourne International Comedy Festival earlier this year, making TV appearances on ABC’s Opening Night Comedy Allstars Supershow and Comedy Up Late while he was there. Summer Camp is Steve’s third solo show, following the critically acclaimed Unpronounceable (2016) and Day Release (2015), which were both performed to sold-out crowds at the Edinburgh Festival Fringe. In 2014 he performed at the Fringe as part of the Festival’s longest-running showcase, The Comedy Zone, and supported Russell Kane on the national tour of his show Smallness. The talent management arm has discovered and represents many artists which are household names, both in the UK, the USA, and around the world. Through Avalon Promotions the group produced Newman and Baddiel: Live at Wembley, the UK’s first arena comedy show; Jerry Springer: The Opera, the first West End show to win all four UK ‘Best New Musical’ awards; and has continued to produce live shows globally, as well as promoting more winners and nominees of the prestigious Edinburgh Comedy Award than any other company. In 2017 Avalon was named the top true independent television production company in the UK and has produced numerous ground-breaking television shows including: Emmy and Peabody award winner Last Week Tonight with John Oliver (HBO), multi-award winning and Emmy-nominated Catastrophe (Channel 4/Amazon Prime), RTS and Rose d’Or winning Not Going Out (BBC1’s longest running sitcom currently on air), BAFTA and RTS-nominated Taskmaster (DAVE), multi-BAFTA award winning TV Burp (ITV1), Russell Howard’s Good News (BBC2), Fantasy Football League (BBC/ITV) and Workaholics (Comedy Central USA). Avalon Television, Liberty Bell Productions, Flame Television and Topical Television form the television arm of the company and other shows currently in production include: Last Week Tonight with John Oliver (HBO), Not Going Out (BBC One), Man Down (C4), Unspun with Matt Forde (UKTV), Stand Up Central (Comedy Central), Dave Gorman’s Modern Life is Goodish (UKTV), and The Russell Howard Hour w/t (Sky 1); whilst the catalogue is sold worldwide by Avalon Distribution. For Avalon news visit: www.avalonuk.com/press or @Avalon_Press.